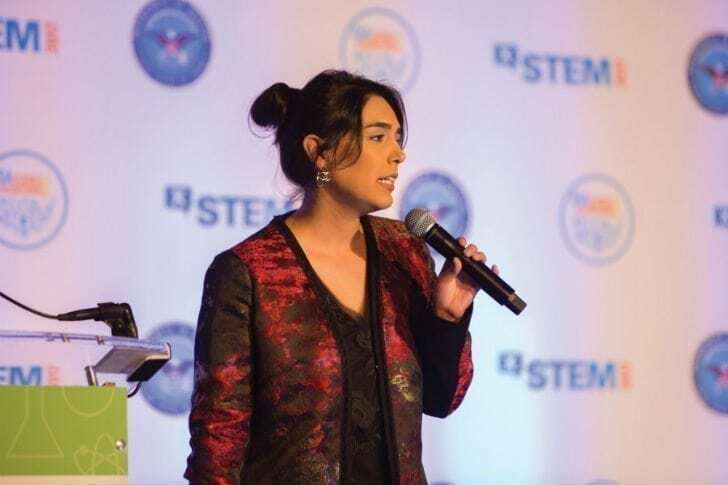 Prominent columnist and business leader Falon Fatemi argues that there is a problem when it comes to the representation of women as power-holders in the professional world. As the founder and CEO of the sales & marketing intelligence platform Node, Fatemi has come face to face with the biases of Silicon Valley, which, as she discusses, has its own archetype of success: that of the lone genius. It’s “a reclusive (usually white) male genius in a hoodie with an engineering degree from Stanford or MIT, who builds his world-changing company through sheer genius and force of will,” she declares in her popular column. Part of the reason for Fatemi’s acumen, especially when it comes to technical knowledge, is the breadth of her Silicon Valley experience. “I was born into the tech world,” she says, citing her parents’ immigration to the area from Iran in the 1970s. With encouragement from her family, she pursued a career in the fast-paced tech capital, starting a job at Google at the age of 19 (as one of the company’s youngest-ever employees). During a recent interview, Fatemi gave us 4 tips for up & coming entrepreneurs. 1. If you don’t ask for the deal, you’re not going to get the deal. 2. It’s okay to be afraid. Just don’t let it stop you from taking action. 3. Resilience is the only path to success, and, honestly, the path to success in the startup world is not linear. 4. Surround yourself with amazing people who’ve reached the success points that you have goals towards. So you can get that coaching.